Sunday morning it was another training ride for the L2P. 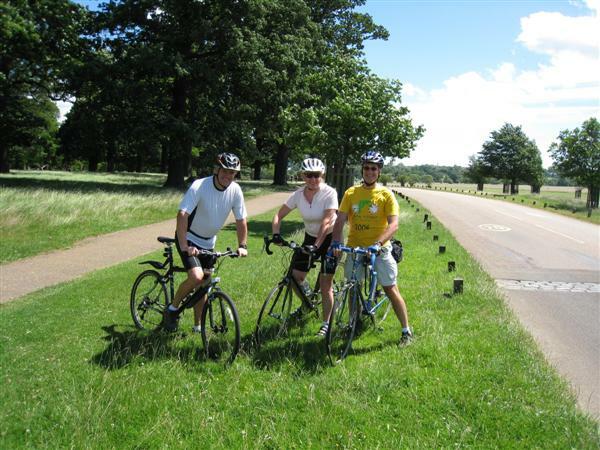 We cycled over to Richmond Park to meet up with Chris (mrtee) for two and a half circuits of the park and home again. Only 30 miles but hard work what with the hills and the b******d of a head wind. Still Mary likes to see the positive side "think of it as a thigh strengthening opportunity"! The park is Cycle City, you could not move for lads in Lycra whizzing round the Park. Personally I dislike Lycra, artificial fibres feels clammy and unpleasant to the skin. The last time I wore nylon shirts was as a geeky schoolboy, never since. Give me natural fibres any day. 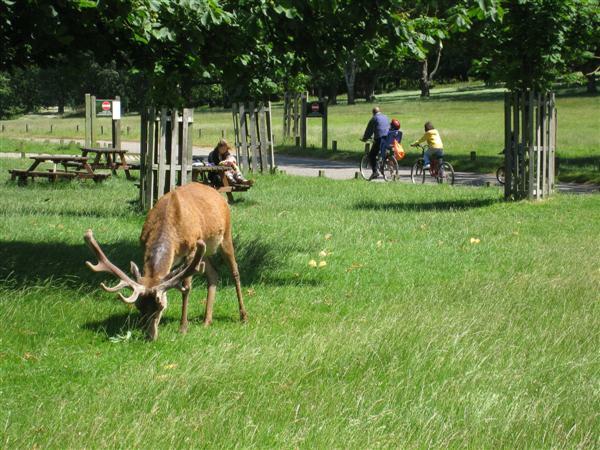 There is so much human activity that the deer are pretty unfazed by it all, no run-away deer here. Good for you! Yes, cotton over man-made any day! (And the hub and I met at the man-made fiber trade association where we both worked in the 80s!! I worked in PR!! And still never sold me on the stuff! hehe) Love the sweet deer.